What's the Best Way to Get a Cheap Phone? Mobile phones are undeniably expensive. And in these budget conscious days, not everyone can afford the five hundred pound plus price tags that come on top of the range new releases. But for more and more people a decent mobile isn't a luxury. Jobs require mobiles, friends and family expect to be able to contact you any time, and many of us have already ditched our expensive land line phones. A good mobile is a necessity, even if you don't have a lot of cash to buy one. There are some budget friendly options available though, if you know what you're looking for. Today we're talking about the best deals and the cheapest ways to get that phone that you need. So before you start shopping, read on to find out how you can save yourself a little money. 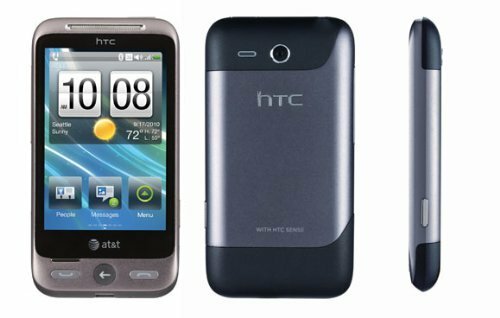 As more and more manufacturers are realising that not everyone wants or can afford a top end new phone the budget smart phone market is rapidly growing. There are some decent low end mobiles for under a hundred and fifty pounds these days. What you need to watch out for in budget smart phones is that you're not sacrificing to much by way of performance to get that low cost price tag. That means that you need to keep some minimum specs in mind if you want your phone to be able to do everything that you need it to do. At a bare minimum for a budget phone you're looking at a three and a half inch touch screen, at least 800 MHz of processing power, minimum 512 MB of RAM and at least 2 GB of internal memory. Going below these specs is going to mean that your phone is liable to lagging and crashing, and it simply won't support many newer software programmes. The best deals around right now on budget mobiles are the Huawei Ascend W1 and the Sony Xperia Miro. The Ascend is a Windows phone, running the newest Windows 8 version, and it meets all your spec requirements, coming in at around a hundred pounds. The Xperia is around fifty pounds more, but has slightly more processing power and RAM. Both of these are great deals if you're looking for a new budget smart phone. If you've got a little more to spend, then it's worth moving out of the budget market to the mid-range market. Buying a mid-range phone is going to get you better performance, but more importantly it's going to be a better investment. You'll get better build quality, so your phone is liable to last longer, and newer operating system versions and more processing power means that your phone will be compatible with newer programmes for a longer time. If you're looking for the best deal on the mi- range market, then the clear choice has to be the Samsung Galaxy S2. You just get the best range of features for the lowest price on this model, despite it not being the newest model Galaxy phone. The Samsung Galaxy S2 features a 4.3 inch Super AMOLED + screen, a 1.2 GHz processor and 1 GB of RAM. So it's more than powerful enough to do everything you need and more. You also get a nice 16 GB of internal memory and an 8 MP camera, which are just added bonuses. Don't be put off by the operating system version. The Galaxy S2 does run the old Android 2.3 Gingerbread system out of the box. But as soon as you put a SIM card in and get service, you'll automatically be able to update to the newest Android 4.2 Jelly Bean system. The best part of the Galaxy S2 is its price tag, which is a mere two hundred and fifty pounds. This is by far the best bargain on the mid-level phone market, and it's absolutely unbeatable. If the mobile you need is a top of the range device, maybe for work reasons, and you're looking to get savings, then you're going to have a tough job finding good deals. Top end new releases are in high demand, so there's just no incentive for retailers to offer deals on phones that everyone wants to buy anyway. Your best chance of getting that high end phone without paying the full price tag up front is going to be through signing an incentive contract. These are contracts offered by mobile service providers that include a mobile phone for free or for a small down payment. You're not going to be getting the best long term deal this way, though it does mean that you don't need to pay the full purchase price all at the same time. The phone you get on an incentive contract is not really free. Your monthly mobile bill will be higher than on other kinds of service contracts in order to reflect a monthly instalment that you're paying on your phone. And when you add up all the instalments, it's likely that you're going to be paying more than actual retail price for your phone over the course of your contract. Of course, some deals are just better than others. If you're looking for the cheapest incentive contract deal on a high end phone, then you should look to the mobile operator Three. You can get the new Samsung Galaxy S4, with its full five inch screen and huge octo-core processor on a great incentive contract from Three. The Galaxy S4 is one of the fastest and most powerful phones on the market, and it's loaded with features. As part of Three's deal you pay no money down and then just £33 per month for the incentive contract, which also includes truly unlimited mobile data. This is probably the best way that you're going to get the high end phone that you need right now. You might end up paying a little more in the long run, but it's one of few offers on the Galaxy S4 that doesn't require any money up front. Next >> Smartphones Vs. a Car: What Do Teens Want More? Should You Own a Smart Phone? Candy Crush Saga and Flappy Bird - What Makes a Mobile Game go Viral?